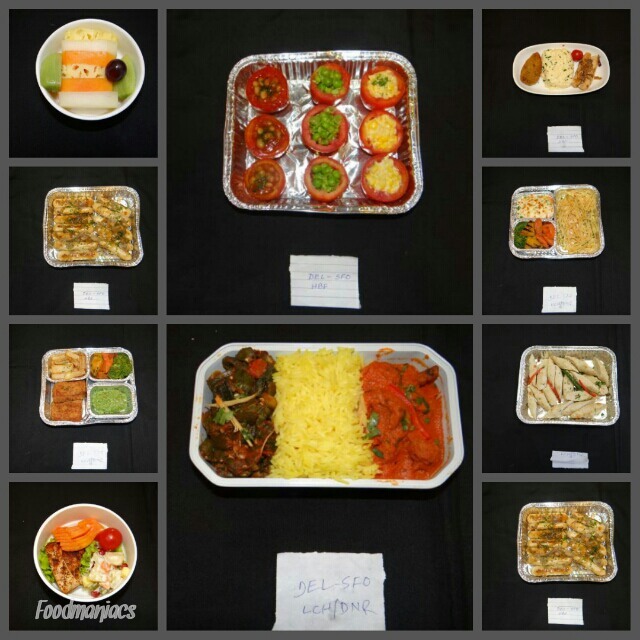 Air India San Francisco non-stop flight to have gastronomical delights on board. Air India’s Delhi-San Francisco flight slated for launch next month will not only offer non-stop connectivity to the US west coast but also allow passengers to sample a variety of Indian cuisines on board. In our discussion with the Chef, he told us how complicated it is to curate meals for a flight. Each and every aspect, like exact quantities, spices, liquid content and much more has to be taken care of sharply. As the flight is nonstop and sitting at one place for 16 hours, one has to have food again and again but with right amount of nutritional contents. They also devise special meals for Diabetic people, including certain specific dishes and omitting a few. The focus will be on North Indian food initially with a ratio of 70:30 between Indian and Continental food. A few signature dishes will also feature the menu like the murgh Rihanna from the signature restaurant Oudh at Ashok will also be on the menu. Chef and his team have also suggested a change in the crockery and the presentation of food. As per the Chef the food is to be experienced first with the eyes and then tongue. So it should be well presented. Their will 2 full meals and a hi-tea on board. A presentation of the new menu was made at the Ambassador Sky Chef Flight kitchen for Mr. Ashwani Lohani, CMD, Air India and senior officials. Chef Loomba took them through the details of the newly devised menu options, which will showcase the best of Indian cuisine. The emphasis is on wholesome, light and delicious food to suit all palates. The menu includes vegetarian and non-vegetarian Indian and Continental options. First and Business class passengers will have, besides an exclusive array of food, a wide choice of the best wines and liquor to pair with the food. The inaugural flight will provide amenity kits with an Indian touch. The pouch and the products will be from Khadi. Thereafter, the kits will be extended to all other international flights of Air India. The flight will also offer a wide range of inflight entertainment, from latest Hollywood and Bollywood movies to other Indian and international language movies, TV shows, documentaries, games and more, to appeal to all age profiles. The B777-200LR has a three-class configuration, with 8 seats in First, 35 in Business and 195 seats in Economy. First and Business class passengers can enjoy the comfort of reclining sleeperettes and emerge fresh after the long flight. Ample leg room and seat pitch make Economy travel quite comfortable too. The flight will be a boon to the Indian diaspora on the US West coast. It will make travel easy and convenient for students and parents of NRIs. Business travellers looking for short stays and direct options will also be hugely benefitted by this connection, just like the existing three non-stop flights to JFK, EWR and ORD. The flight to and from San Francisco will operate 3 days a week, on Wednesday, Friday and Sunday, to convenient timings in both directions. The flight will offer seamless connections to several cities in India, most of which are known for IT industry. Air India occupies a special place in the global and Indian aviation scenario. It pioneered the aviation in India and its history is synonymous with the history of civil aviation in India. Air India is not a mere airline that transports passengers, baggage and cargo. It is a multi-faceted organization. The aviation infrastructure it has created over the years is a testimony of its contribution. Apart from servicing of all its aircraft in-house with its own engineering facilities, Air India also undertakes ground handling services of many airlines in many cities in India. Air India has grown to become a mega international airline with a network of 34 destinations across the USA, Europe, Australia, Far-East and South-East Asia and the Gulf. The airline’s domestic network covers 50 destinations, including far-flung areas of the North-East, Ladakh, Andaman and Nicobar Islands. Air India, today, flies one of the youngest, state-of-the-art, fleet of aircraft comprising a mix of the wide-body Boeing B777s, B747s, its latest acquisition- the B787 Dreamliner and the narrow body Airbus A321s, A320s and A319 aircraft. For additional information visit airindia.in and/or follow us on Facebook/airindia and on Twitter – @airindiain.